My cousin and I were born a mere 10 hours apart and we’d class each other more like sisters than cousins, but when it comes to our sense of style, we’re complete opposites. 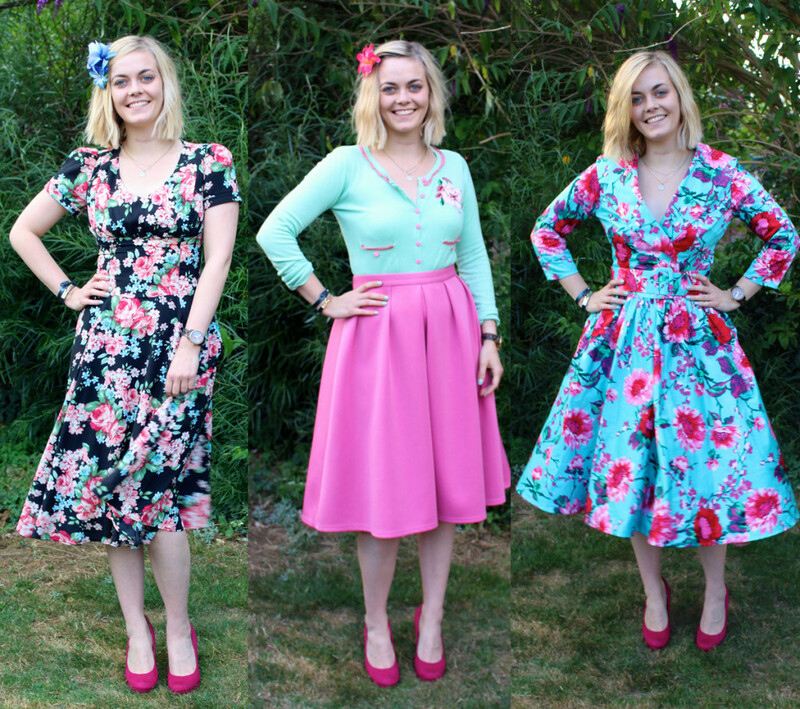 Gem favours a retro 50’s look, all nipped-in waist, sleek silhouette and matching accessories. Whereas I am all about oversized, comfort and clashing prints, textures and colours. For one day, more like 1 hour max, I decided to see what it’d be like to swap styles and become a 50’s pin-up. 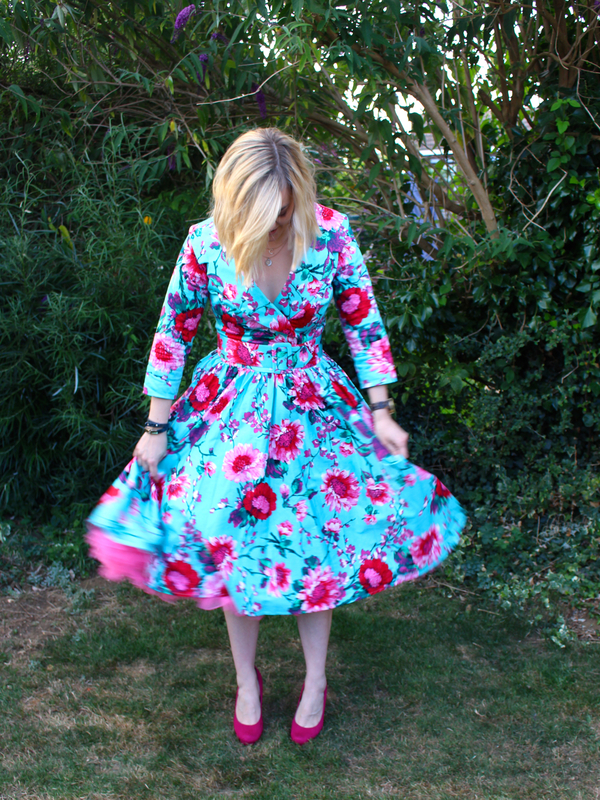 For many reasons this Collectif dress scared me. 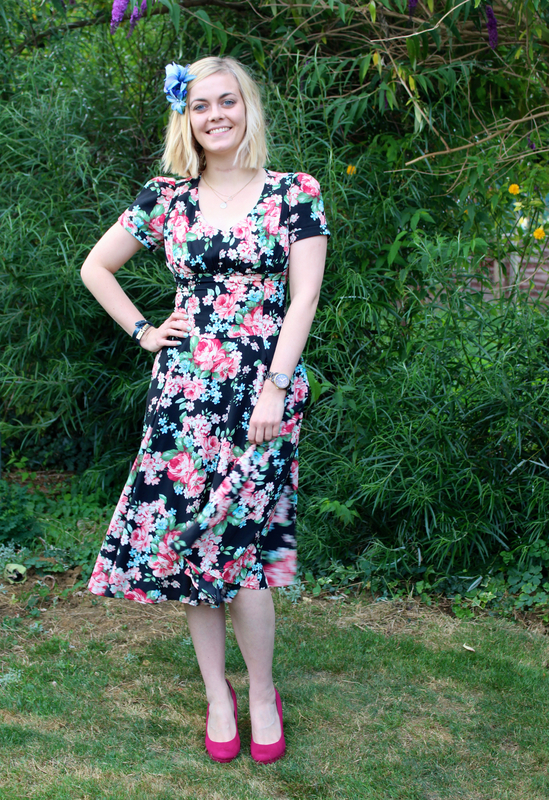 The tight panelled waist and mumsy florals were just two of them. On Gem this dress looks sweet, innocent and glam. On me I just felt like a 50’s house wife with restricted movement. I literally couldn’t get this one off quicker due to my inability to breathe or feel my ribcage. As for the shoes, well I had that sinking feeling. 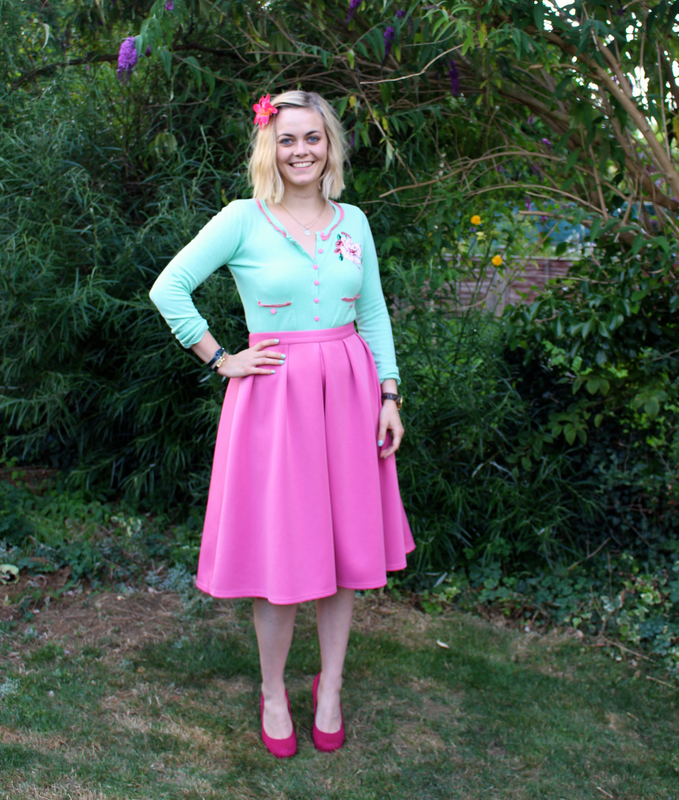 In some kind of weird coincidence I painted my nails the exact same shade as this mint cardi from Collectif. If we ignore the fact that I was sweltering in the heat, this was the outfit that I felt most comfortable in. Tucking a cute cardi into a pleated midi is like second nature to me. I’m just not normally this girly. And I think you can tell. Despite the fact that I barely filled the D cup, this is my favourite dress so far. And I know it’s also one of Gem’s, seeing as she’s bought it in nearly every colour. 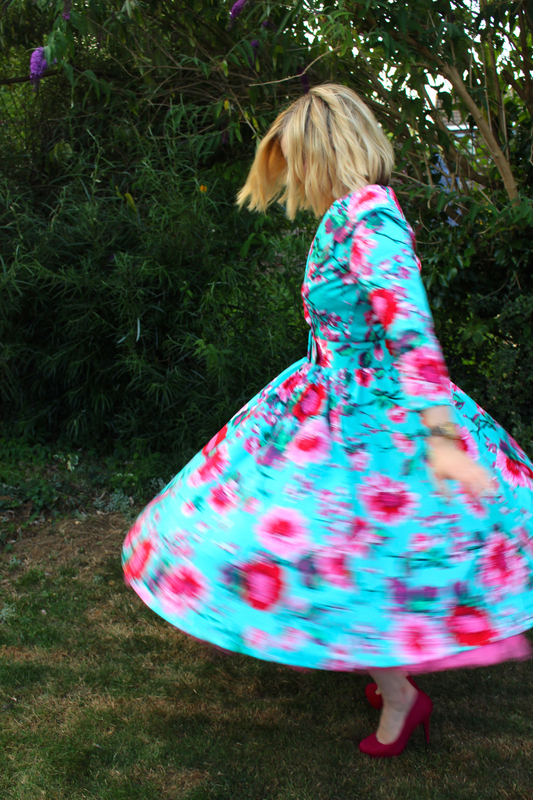 The electric turquoise with the pink flowers and pink petticoat makes my heart for clashing colours beat faster. What I’ve learnt is that putting a flower in your hair instantly makes you smile. That you get the same sense of relief pulling off a fitted dress as you do when you take your bra off after a day at work. 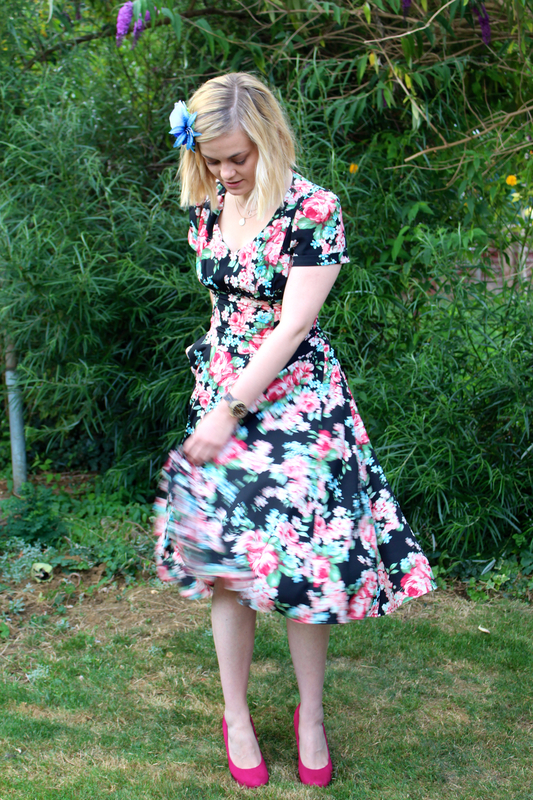 And that I can do 50’s style as long as I’m placated with a petticoat and a the ability to twirl. Nice work Mrs Bow Retro.